When the average person thinks of sublimation, I’m guessing he or she would most likely think of mousepads or t-shirts or tiles or jigsaw puzzles. There are literally thousands of items that can be used to create sublimated products, some less well known than others, and among those items are the blank patches that EnMart sells. That’s what I want to talk about today. EnMart’s standard color blank patches are created with 100% polyester fabric, which is ideal for sublimation. Creating a template is easy, since we can provide precise dimensions for our blanks. All blank patches are merrowed with 100% polyester colorfast merrow thread, so the color of the merrow won’t run when exposed to the heat of a heat press. Sublimated patches are ideal when you have a graphic that is intricate, or you need to create a patch with subtle shadings. They’re also a great option for those who prefer to do photo-realistic emblems. As with other products that can be sublimated, our blank patches allow you to transfer a photo through sublimation directly to the patch. While sublimating a patch yourself can be done, it is not the only option that EnMart offers to those who want sublimated patches. We also offer custom sublimated patches created by us to your specifications. EnMart’s custom sublimated patches are a terrific way to get the photo realistic emblems you want without the time and effort of creating them yourself. Our web site gives you all the instructions for selecting your patch and submitting your artwork. Our standard sublimated patches are white. Colored backgrounds can be sublimated onto the white patches if that is what you desire, but that must be specified at the time the order is placed. If you have any questions about EnMart’s blank patches, or about our custom sublimated patches, give us a call and we’ll be glad to assist you. Of course I knew that sublimation can be used over tons of products, but I have never had the idea of the patches. 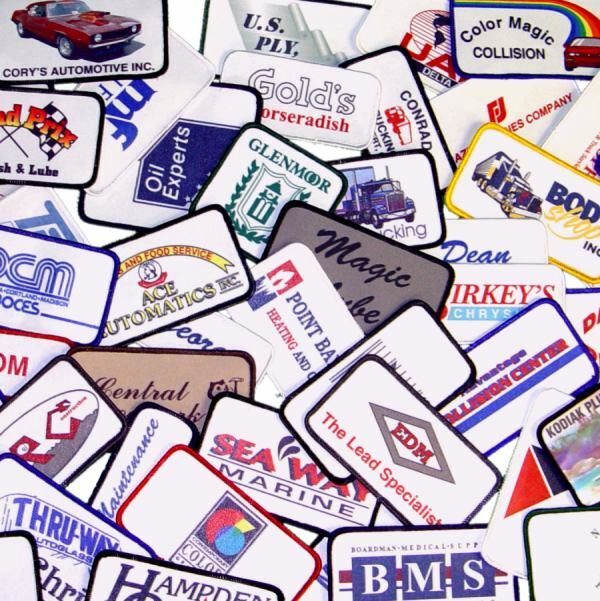 Patches are great for advertising, and with sublimation we can obtain patches with durable and vibrant colored imprints.